Losen Records have just released Stereotomic, a new album by the quartet Nypan. This is Norwegian guitarist Øyvind Nypan’s fourth album as band leader, and all the compositions are his own. The musicians are Øyvind Nypan, guitar, fellow Norwegians Bernt Moen, piano and Ole Mofjell drums, and Swedish double bass player Egil Kalman. Just for The Record comes next. It is written for trio without piano. 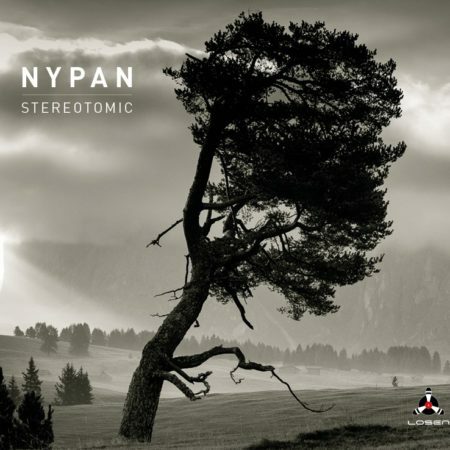 Nypan cites Pat Metheny as a major influence, and you can hear it here in the deft tuneful runs he employs to ornament the melody. After this idyll, The Big Rumble Tumble is a dark driving number with a long dissonant piano solo, quite abstract in style, and lots of extended extemporisation from the guitar. My favourite track is Paris, a ballad which though melancholy has a gently hopeful feel. It was written on Nypan’s return to Paris (where he had lived and worked from 2006-8) after the 2015 terror attacks. This is a spacious piece, with understated playing from all the musicians, and a delicate melody line from Nypan, here showing another influence as a guitarist, Jim Hall. The final track, This Old Thing, is a lively blues based on a theme Nypan wrote in the 90s when he was a student. The tune charges along, the band sounding like an ensemble who have been playing this number for years, rather than since yesterday. After deft flourishes from all, it comes to a satisfyingly tight finish. I would be interested to see Nypan live but there appear to be no plans for a UK tour although the Nypan Trio is currently touring Norway. LINK: Details of the trio’s tour.